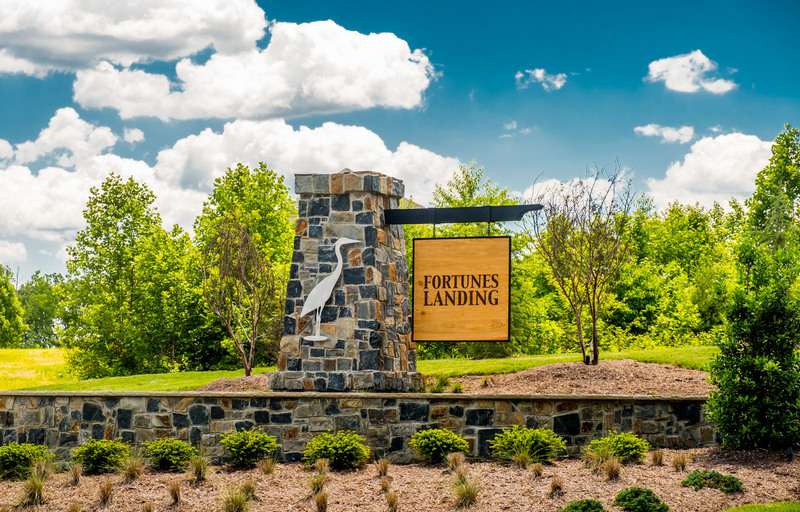 Fortunes Landing is a new 315-acre estate neighborhood in Spotsylvania County. This secluded community is situated along the Ni River Reservoir and will boast 49 stunning single-family residents. Homesites will range from three to 18 acres and include waterfront properties. Fortunes Landing by Simply Home, will afford residents a range of activities and amenities to unplug, relax and reconnect with friends and family. Whether that be walking or biking along paved recreational trails, canoeing or kayaking or spending quiet meditation time along the natural banks of the reservoir, Fortunes Landing has plenty for all. Residents can enjoy time at the “Echo” a 15-acre public park with amphitheater as well as gather at the “Landing”, a private community center available to all residents. Our beautiful model home is now open! We welcome you to stop by and take a tour.